Welcome to Ting Yen, Inc.
A beauty secret of Japanese women for hundreds of years is now available! 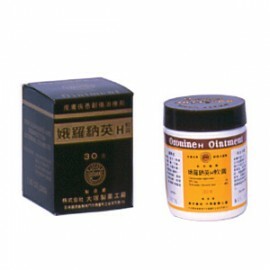 Oronine Ointment, made in Japan , is an excellent cream used for all types of skin conditions. It can be used as an everyday moisturizer, acne and pimple remedy, for insect bites, pain caused by burns, athlete's foot, psoriasis, eczema, ringworm, frost bite, aftershave and even for diaper rash! This is definitely an essential for all households. Ingredients: Chlorhexidine Digluconate and Hydrophilic Ointment. External use only. 30 gm.